We are celebrating after receiving a very positive report from the Ofsted inspectors. We can finally reveal we are a “good” school in all categories. I am absolutely delighted with this outcome. You will see that the report is written in very positive terms. My thanks go to every single member of our staff team for their on going hard work and commitment as well as their efforts during the inspection process. Our pupils were fantastic throughout the inspection. 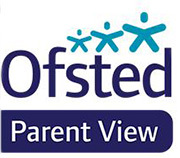 Thank you to the governing body for their hard work, challenge and support and thank you also to all parents for the excellent feedback received via Ofsted ParentView during the inspection. It was a real team effort and a result that our whole school community should be proud of. Please find below our most recent Ofsted report. For relevant information from the Department for Education on performance please see the link below.